One boy's search for his father leads him to Puerto Rico in this moving middle-grade novel, for fans of Ghost and See You in the Cosmos. Pablo Cartaya's novels explore identity, place, and the spaces in between. His debut novel about a boy standing up for his community, The Epic Fail of Arturo Zamora, received three starred reviews and is a 2018 Pura Belpré Author Honor Book. 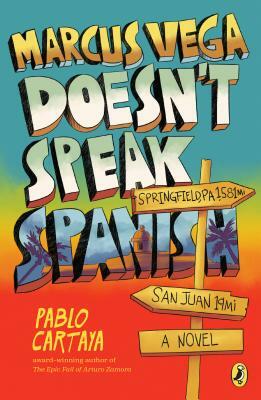 When Pablo isn't writing, he's spending time with his family or dreaming of his next visit to Puerto Rico. Learn more about Pablo at pablocartaya.com and follow him on Twitter @phcartaya.